Pipe bomb suspect Cesar Sayoc will not seek immediate release on bail and agreed Friday to be transferred from Miami to New York to face charges of sending explosive devices to prominent Democrats, critics of President Donald Trump and media outlets. Attorneys for Sayoc said Friday in Miami federal court that it's better if his lawyers in New York can take the case as soon as possible. 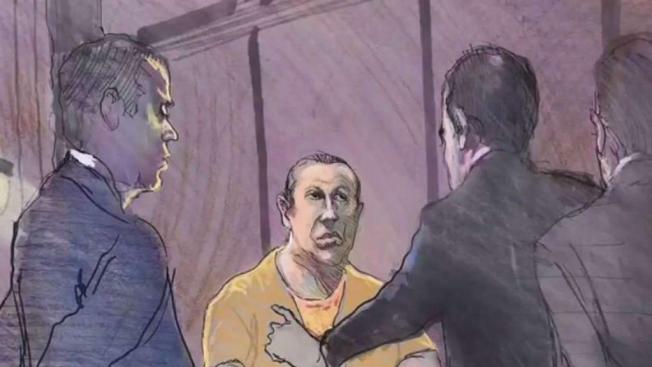 They could still seek a bail hearing in New York, but prosecutors say he should remain jailed, given the magnitude of the charges and the strong evidence against him. The timing of Sayoc's transfer to New York is uncertain. It can happen quickly or take weeks, and is not usually announced ahead of time by the U.S. Marshals Service, Benjamin said. Even defense lawyers are not informed. Sayoc is accused in New York of sending 15 improvised explosive devices to numerous Democrats, Trump critics and media outlets. He was arrested a week ago outside a South Florida auto parts store in a white van in which he had been living, a vehicle covered with stickers of Trump and showing images of some of the president's opponents with red crosshairs over their faces. The decision by Sayoc's lawyers not to seek release on bail came after federal prosecutors released a letter outlining more evidence against him, including DNA linking him to 10 of the explosive devices and fingerprints on two of them. Benjamin, however, said the prosecution letter does not prove anything yet. He noted, for example, that it refers to "possible" DNA matches to Sayoc. The transfer comes after Boca Raton Police released body cam video showing interaction between two officers and Sayoc on the morning of September 1st after getting a call of a man sleeping in his van outside a building. In the video, Sayoc speaks with the officers about his job working at a gentlemen's club in the area and his support of President Trump before he was let go.